It doesn’t matter whether you choose to go with concrete, glass or metal, tiles can add a unique flair to your home when they are used in unconventional ways. Summary: Wood, concrete and stone tiles are available in distinct materials, designs and finishes, which allow us to use them in many ways to add a special touch to your home interior design with no creative limitations. Designers today are using these materials to add elements of nature and into interiors and create an open and inviting home décor. Interior designers today are looking beyond the traditional methods and are using tiles fashion beyond ordinary to achieve looks that are spectacular and outstanding with designer floor tiles India. Whether you are adding ornate flooring or an interesting accent for your walls, tile can help create an aesthetic appeal that you will love for years to come. 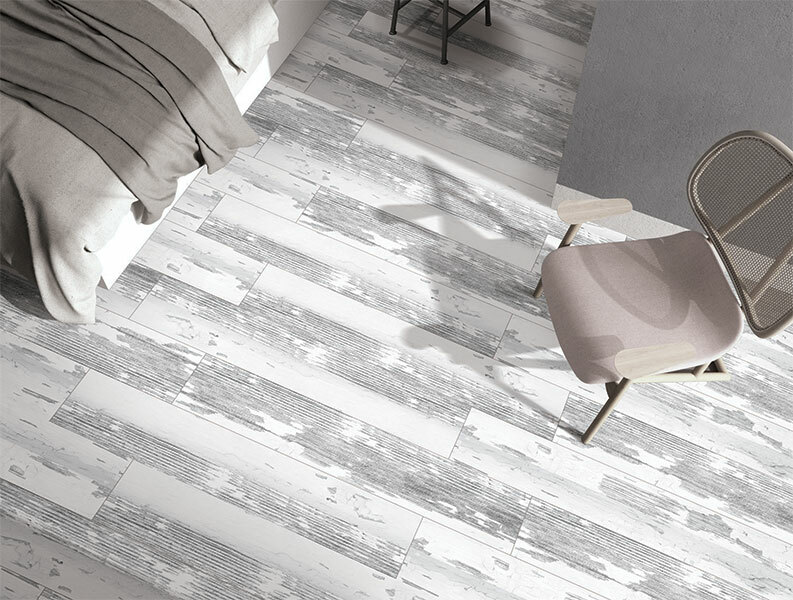 Tile manufacturers offer concrete, wood and stone tiles that add an authentic and rustic touch to the décor of a room. These tiles are able to mimic the appeal of natural outdoor elements into a home while providing durability, easy maintenance and resistance to stains or water. Here three ways on how to use stone, wood and concrete tiles to show you how. An entryway is the first area of your home a guest will notice, so it is the perfect space to create a long lasting impression with tile flooring. Many use porcelain tiles with design pattern in the center of the floor to catch the eye of their guests. If you want your entryway to be inviting and warm, opt for wooden floor tiles to add a touch of nature indoor. Before you think of living room flooring ideas you should keep in mind that the rest of your house would need a flooring design that flows together for a streamlined look. To keep a simple yet elegant layout, use concrete or natural floor tiles design throughout your home for a seamless and contemporary look. If you want a more unique design, you can mix the materials with other types of tile and add a touch of your taste to a room. 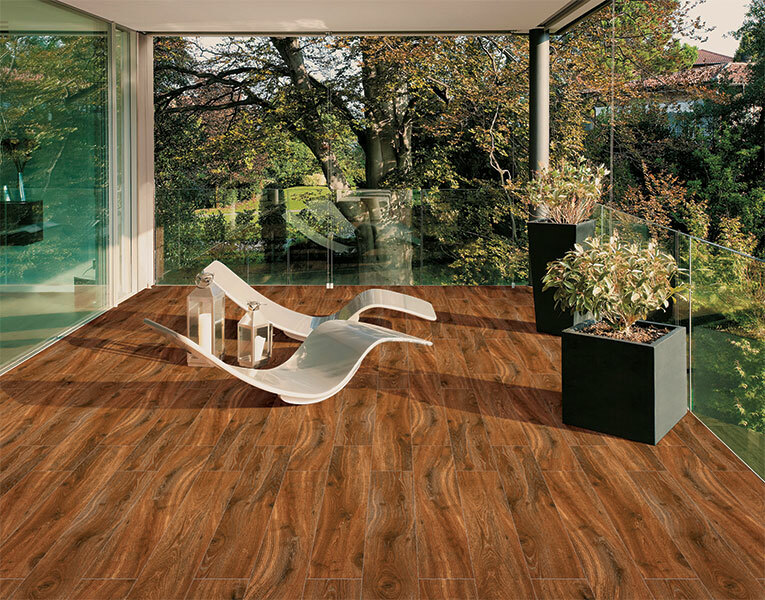 Homeowners today are missing wood-look tiles with hexagonal ceramic tiles for a rustic design aesthetic. To achieve a warm and comfortable bedroom doesn’t mean that carpet is a must; tiles will look just as beautiful and can add warmth as it does for any other room. 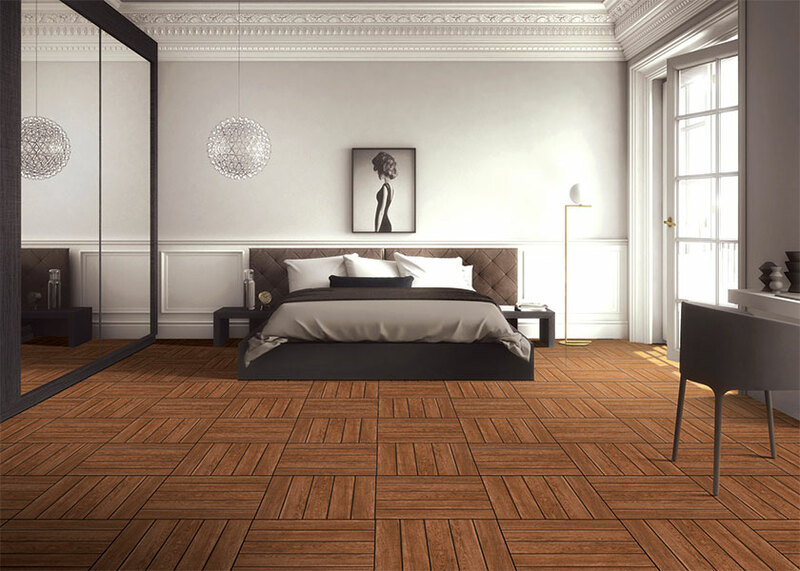 Ceramic wood tile flooring is a popular choice that provides the warm look of a wood floor with the durability of tiles. 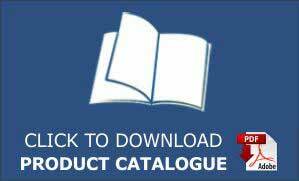 They come in a vast selection that meets diverse needs of customers and fulfill your most creative designs.